Even with uptick in summer driving miles, prices remain low. 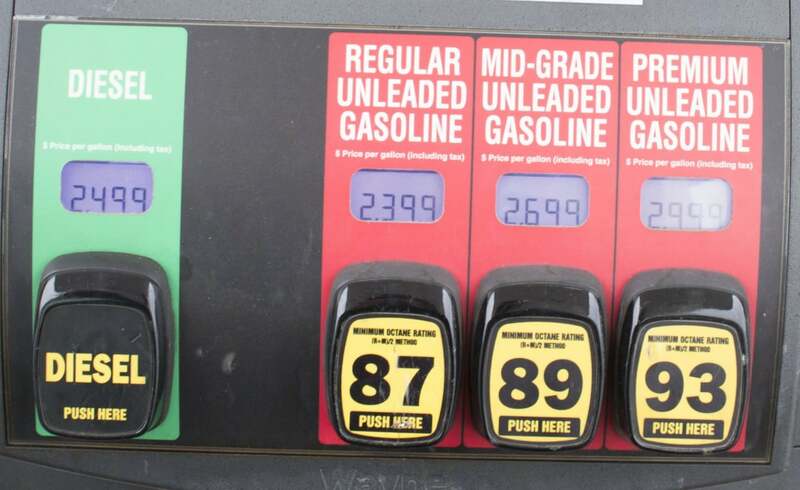 Gas prices continue to slide even as the summer driving season is nearly in full swing. However, prices aren't expected to drop much more. Despite record demand for motor fuel over the Memorial Day holiday, which traditionally marks the start of the summer driving season, the price of gasoline has dropped this week and is now less expensive than it was a year ago, according to AAA. With price of a gallon of gasoline averaging $2.32 per gallon as the price of fuel declined this week in 27 states in the southeast and Midwest, AAA reported. Motorists in several states also saw double-digit price drops. The national price drop is due to an unexpected build up of crude oil last week combined with ongoing high gasoline production runs, an increase in gasoline stocks and a drop in gasoline demand on the heels of the Memorial Day holiday. “If refiners continue to produce record amounts of gasoline and oversupply the market, consumers will reap the benefit and see slight fluctuations in gasoline prices, AAA said in its weekly report on gasoline prices in the week to come. 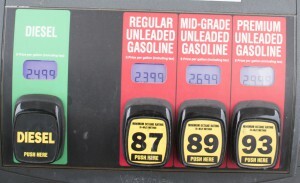 AAA, however, cautioned it is not likely that gas prices will drop much lower than this week’s prices. The nation’s top markets with the largest year over year declines included Ohio where prices have declined by 46 cents per gallon, Indiana where prices have dropped by 41 cents from year ago levels and Michigan have dropped 35 cents per gallon. Gasoline prices also have declined from year ago in Illinois, Kentucky, Wisconsin, Oklahoma, Alabama, Tennessee and West Virginia. The states with the cheapest gas this week included South Carolina where a gallon of gasoline was at $2.01 per gallon, Oklahoma at $2.05 per gallon, Alabama at $2.06, Mississippi at $2.07, Tennessee at $2.08, Arkansas at $2.09, Virginia at $2.12, Missouri at $2.13, Louisiana at $2.14 and Kansas at $2.15. Motorists in California, however, could see a small increase in gasoline prices as the state moves to boost the excise tax for gasoline by 1.9 cents per gallon to 29.7 cents per gallon. The price hike is scheduled for Nov. 1, but retailers can pass on this extra cost to consumers as early as July 1, when the excise tax takes effect, according to the California State Board of Equalization. Meanwhile, the price of crude oil despite cuts in production by members of OPEC remains relatively low, exerting downward pressure on gasoline prices. The downward pressure was reflected in the build in crude inventories, according to the statistics maintained by the U.S. Department of Energy’s Energy Information Administration. The inventory figures underscored that the market continues to see a substantial glut in crude inventories, resulting in high production rates putting downward pressure on prices per barrel, AAA noted in its analysis. Crude oil prices were cut in half three years ago and have remained low despite a broad but slow recovery in the global economy. This entry was posted on Friday, June 16th, 2017 at and is filed under Automobiles. You can follow any responses to this entry through the RSS 2.0 feed. Both comments and pings are currently closed.